The union territory of Puducherry houses a lot of reputed marriage halls that cater to the needs and demands of the local population. Most of the marriage halls in Puducherry or Kalyana Mandapams in Puducherry are located in prime locations of the urban centre that features good road connectivity. 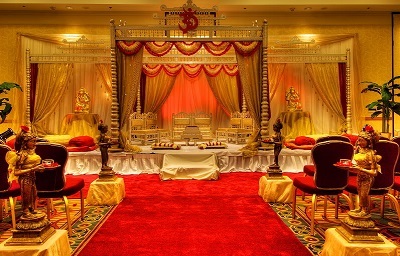 Also, marriage halls in Puducherry come packed with a lot of essential and value added facilities and features, which usually include spacious halls, association with event management organizations, catering services, hall decorators, parking space for two wheelers and for wheelers, air condition, rooms for guests, fireworks display, generator or electricity back up and many other facilities. Marriage halls in Puducherry are suitable for hosting receptions, marriage ceremonies, birthday parties, business conference, conventions, and other gatherings. Find below the list of reputed marriage halls in Puducherry along with their location and contact details. According to drikpanchang there are no shubh muharat or auspicious dates in September 2015. However, you can still contact your priest for it.